Oslo/Paris, 17 March 2017: Marlink has acquired Palantir AS, a Norway-based maritime IT company specialising in remote IT management solutions. The Share Purchase Agreement whereby Marlink acquired 100% of Palantir AS shares was completed on March 17 2017. Palantir provides IT managers on shore with easy access to individual vessels or entire fleets for remote support and management of on board IT networks. Marlink and Palantir already enjoy a close working relationship through a strategic partnership agreement started in September 2014, which has enabled Marlink to deliver integrated IT management services to its Sealink multi-band communications service customers, including Stolt Tankers and CMA CGM. Palantir’s maritime IT solutions enable shipowners and operators to significantly improve fleet efficiency whilst reducing maintenance costs through standardisation, automation and remote management. Palantir is the company behind the sophisticated KeepUp@Sea managed IT service, which monitors all IT networks on board a vessel and across a fleet, providing significant savings by enabling IT staff on shore to detect and address issues remotely. Ship owners globally benefit from increased uptime and reduced burden on officers on board, in addition to less requirement for travel and physical interventions on IT issues, which supports cost reductions while lowering carbon footprint. 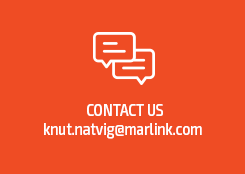 KeepUp@Sea is the ideal complement to Marlink’s Sealink multi-band communications services. It has enabled Marlink to expand its offering to shipping companies, providing fleet-wide control of IT network changes and upgrades from shore, ensuring more stability of PCs and equipment on board vessels. The system delivers more IT network uptime on board, providing high availability for diverse ‘smart shipping’ applications that are helping the industry to operate more effectively, which is especially vital in today’s challenging markets. “Together, Marlink, Telemar and Palantir will offer an incredibly diverse service portfolio, supporting the shipping industry with state-of-the art communications, IT and electronics solutions from a single global and highly experienced organisation” said Tore Morten Olsen, President Maritime, Marlink.